No prerequisites are needed to join band. Students will learn note names and fingerings. Tone production and techniques will set the foundation for all the bands at All Saints. 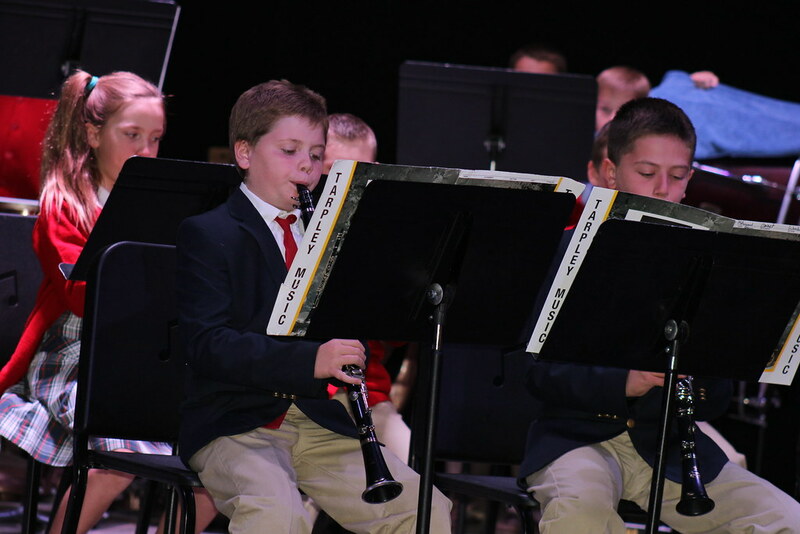 Beginning band creates the opportunity for each student to develop teamwork, self-confidence, and discipline, along with an appreciation for different styles of music. 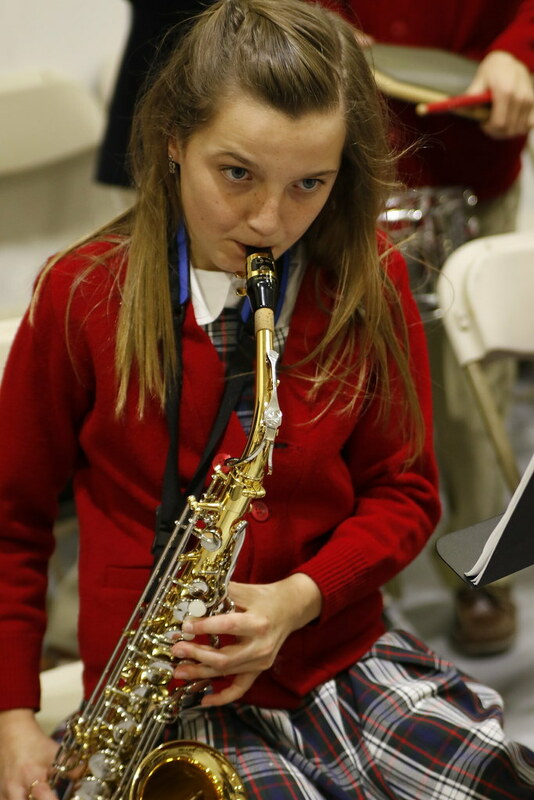 Students will perform at Lessons and Carols and at Fine Arts night. The Red Band builds on what was taught in Beginning Band. Music theory will be introduced through our Smart Music program. 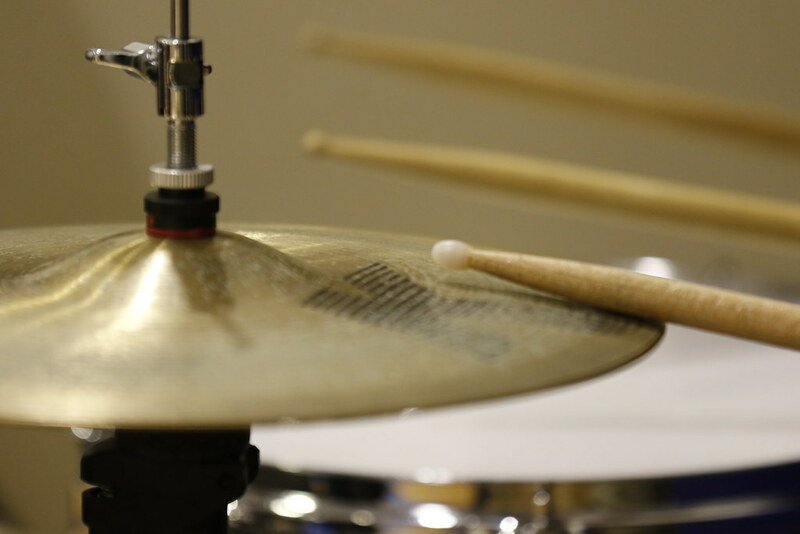 Skills acquired through this method will allow for success in understanding more complex rhythms and keys. 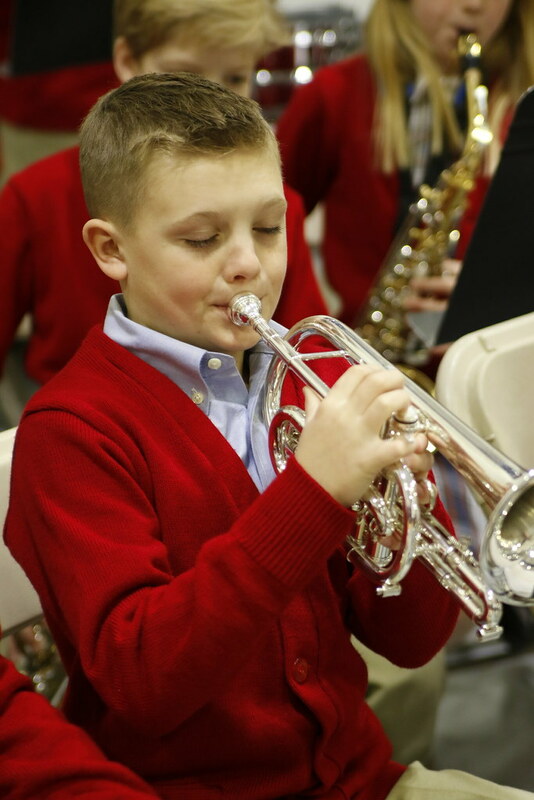 Students will perform at Grandparent’s Day, Lessons and Carols, and Fine Arts night. The Blue Band is the most advanced middle school band at All Saints. 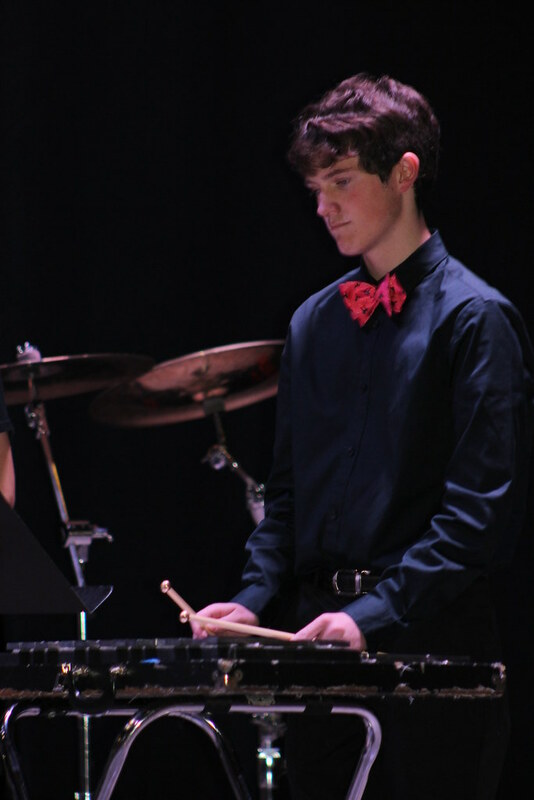 This band focuses on musical techniques such as advanced rhythm studies, intonation, dynamics, and sight-reading. A higher level of thinking skills is required to understand multi-meter selections and keys. Students in the Blue Band will be offered the opportunity to participate in the All-Region audition process. 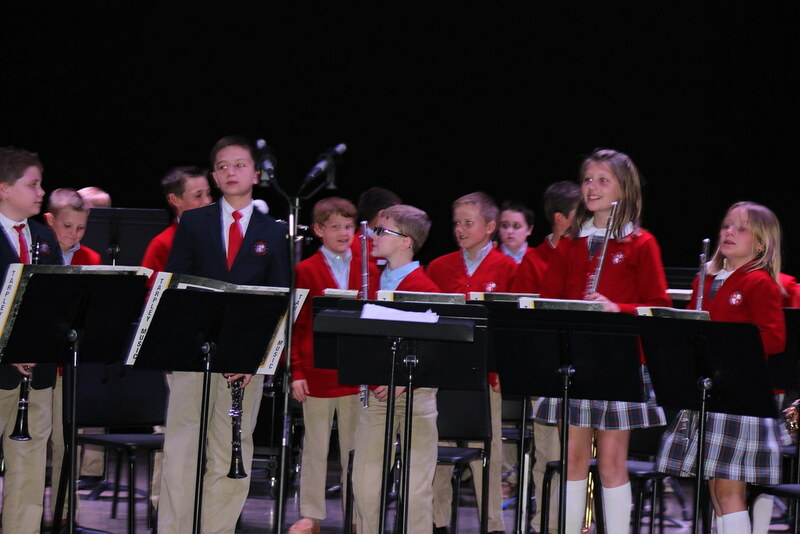 The Blue Band will perform at Grandparent’s Day, Lessons and Carols, and Fine Arts night. The High School Band is recognized as the outstanding ensemble at All Saints and the music performed is the highest degree of difficulty. 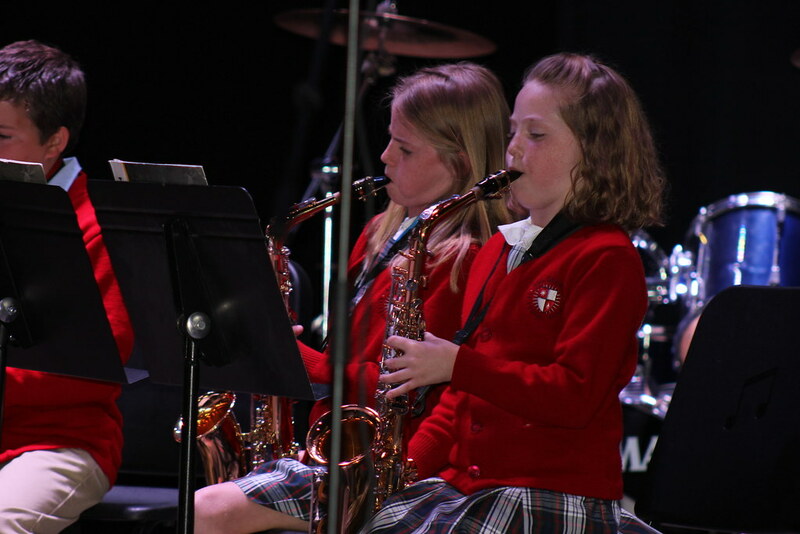 Performances included Grandparents Day, Lessons and Carols, and Fine Arts Night. The High School Band will also enter a competition in May. All Saints is proud to introduce our Drum-line. 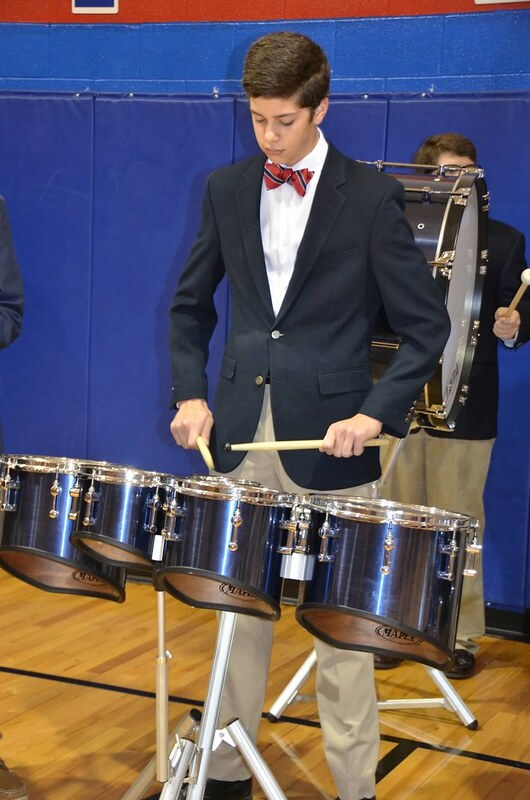 The Drum-line performs at pep rallies and other special programs such as Veterans Day. All High School Band members are encouraged to provide leadership through example and promote the highest expectations for all All Saints band members.